For a sweet treat that’s on trend, visitors to Walt Disney World can’t miss the rose gold cupcake at Sunshine Seasons in Epcot, or the similar versions at Main Street Bakery in Magic Kingdom and at Disney’s Hollywood Studios at The Trolley Car Café. Disney has lost of Rose Gold treats. At The Polynesian Resort, saddle up to the Barefoot Pool Bar for a rose gold margarita. From margaritas to cupcakes, there’s lots of rose gold treats at Walt Disney World. Then, it’s back to the cupcakes. The Polynesian has a rose gold vanilla cupcake with guava pastry cream at Capt. Cook’s and at Kona Café. Rose gold food and drinks are on trend. At Disney’s Grand Floridian Resort & Spa, there’s a rose gold unicorn cupcake with rose gold sponge and hazelnut cream cheese filling at Gasparilla Island Grill. Rose gold treats are all the rage right now. At Disney’s All-Star Music Resort, Disney’s Saratoga Springs Resort & Spa and Disney’s Old Key West Resort, you’ll find a rose gold chocolate cupcake with strawberry buttercream filling and topping, chocolate ears and chocolate crispy pearls. These can be found at Intermission Food Court, the Artist’s Palette and the Paddock Grill. Contempo Café at Disney’s Contemporary Resort now has a rose gold vanilla cupcake with strawberry filling, vanilla buttercream, strawberry crispy pearls and a dark chocolate rose gold Minnie hat. 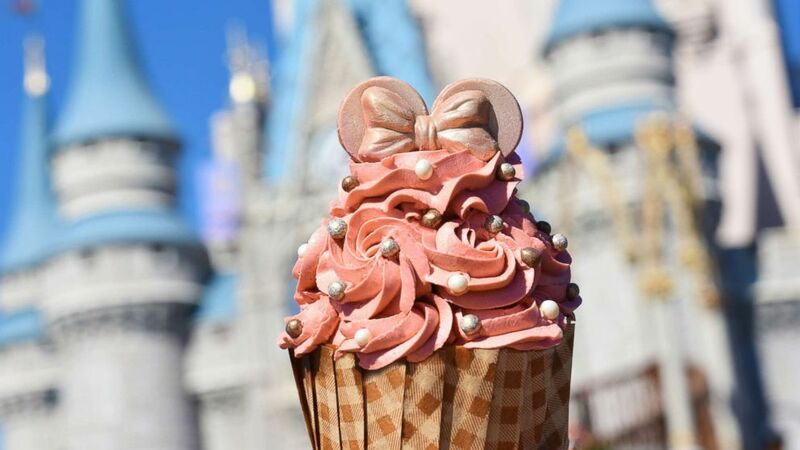 Rose gold cupcakes are popular at Disney. Is this the Islamic State group’s last stand in Syria? January 3, 2019 Comments Off on Is this the Islamic State group’s last stand in Syria?